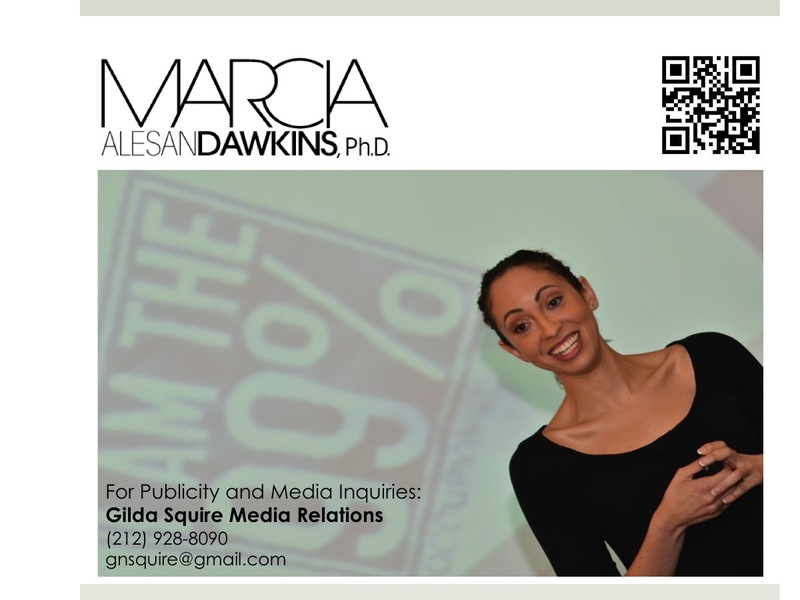 My name is Marcia Alesan Dawkins and I am a citizen of the world with something to say. I recently completed my MA and PhD at the Annenberg School for Communication & Journalism at the University of Southern California. My research examines political and legal communication, persuasion, racial and ethnic diversity, cultures and subcultures, and, most recently, intersections among these areas with religion and technology. I am now expanding my research to explore these exciting areas in the contexts of language and translation--specifically English, Spanish and Arabic. In my dissertation, I investigated how real and imagined instances of “passing” were both talked about and ignored in the United States from the late nineteenth through early twenty-first centuries. I was interested in understanding how the ways we go about presenting ourselves in relation to social and legal structures can form a new theory of rhetoric. My dissertation research was funded by USC’s Graduate Diversity Initiative, USC Annenberg Stark Popular Culture Fellowships, and a Fellowship from the Irvine Foundation. My research was supervised by a committee of intellectual awesomeness: Randy Lake, Tom Goodnight, and George Sánchez. My first book, published by Baylor University Press in 2012, Clearly Invisible: Racial Passing and the Color of Cultural Identity, takes my dissertation research a step further by applying it to today’s changing communication contexts. My second book, published by Praeger Press in 2013, Eminem: The Real Slim Shady, looks at spiritual, social and economic literacy in the realm of popular culture. In my teaching, which is both online and on ground, I strive to inspire a lifelong experience in which influential and artful ideas can be tested in action. Through the development of communication and critical thinking skills I hope to prepare my students to engage meaningfully with the people and situations they encounter. My goal is for them to leave the on ground or online classroom with a better understanding of society, of themselves, and of the power they possess to catalyze positive and sustainable change. In recent years, I have incorporated many of my studies into my teaching--multiracial identification, critical pedagogy, Nuyorican poetry, Hip Hop, “Swarm the Minutemen” Activist Groups, the Rhetoric of Los Angeles, the candidacy of Barack Obama, the appointment of Supreme Court Justice Sonia Sotomayor, the nature of faith, and other intersections between rhetoric and culture. I have written papers on a variety of different topics, from classical rhetoric to Prison Break to Lil' Wayne to LinkedIn to ways in which everyday people create new identities, expressions, and public policies. I also write for magazines and newspapers on a wide variety of topics. For more information on any of the above please see the Research and Blog sections of this site. I earned my first Master's Degree at New York University’s Draper Program in Humanities and Social Thought with Robin D. G. Kelley. My master's thesis focused on identifying clusters of metaphor in hip hop lyrics to find out what the music’s primary communication messages and paradigms were at the time. As an undergraduate, I studied Rhetoric, African American History, and Finance at Villanova University, mentored by Terry Nance and Larry Little. My undergraduate thesis focused on hip hop as an increasingly complex form of African American rhetoric that presents stark social inequalities beneath the bounty of bling. Before that I was simply a kid from Queens, New York, attending NYC public schools. Outside of academia, I am a syndicated blogger and columnist. I also share my expertise with the press in interviews. In addition, I have worked at various not-for-profits and corporations. For two years, I worked at FutureBrand, a full-service global branding firm. I also worked for two years in finance and marketing for a subsidiary of Citigroup. I have worked as an Associate Director of Education at Interfaith Neighbors, Inc., a non-profit, non-religious, community-based organization devoted solely to meeting the educational and developmental needs of children and young adolescents throughout East Harlem and Yorkville in New York City. There I worked to coordinate counseling, education, and recreation services for hundreds of youth and their families. I have also worked as a researcher for the Social Science Research Council and as an instructor at the REACH Adult Literacy Program. I am currently an adviser to all of my past, present, and future undergraduate students. I also consult with a wide variety of educational institutions and speak at numerous conferences and meetings in the U.S. and abroad. Online, I'm known for maintaining my LinkedIn page, Google+ Community, de.licio.us bookmarks, and Twitter feed as well as finding as much pop culture controversy as I can. Offline, I am art student and pianist who also loves cooking, eating, thinking, reading, traveling and socializing with friends and family. I guess you can say that I'm interested in living a balanced and meaningful life while rethinking the possibilities of my roles as a different kind of professor.